There’s a lot of confusion out there regarding regulators’ authority to regulate crypto. Investigations and resulting settlements — like the recent SEC enforcement action against the creator of EtherDelta — show that regulators continue to explore novel ways of exercising their oversight and enforcement powers. This article is an attempt to return to basics to explain the legal authorities pursuant to which most regulators act. Our hope is that a return to basics helps dispel the counterproductive adversarial postures that many crypto enthusiasts adopt towards regulatory action. The analysis here is not country-specific. Although many authorities and examples are American legal authorities, the rules covered here apply in more or less similar form globally. Generally speaking, jurisdiction refers to any legal actor’s exercise of legitimate authority over something or someone. Jurisdiction = who can do what where. 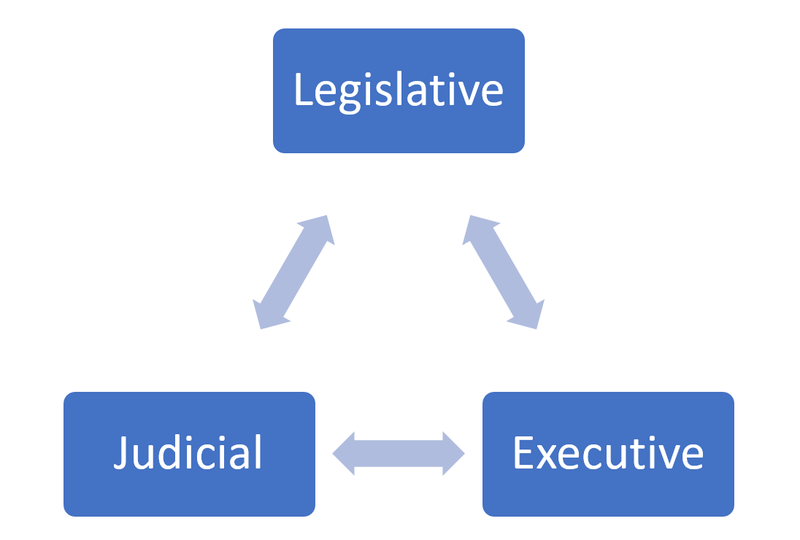 In a three-branch system of government — (1) legislative; (2) executive; (3) judicial — jurisdiction refers to each of these three branches’ authority. This means there are legal limits to the exercise of legislative jurisdiction, executive jurisdiction, and so on. Next, jurisdiction is often abbreviated to jdxn, a convention that we’ll gladly follow here as well. 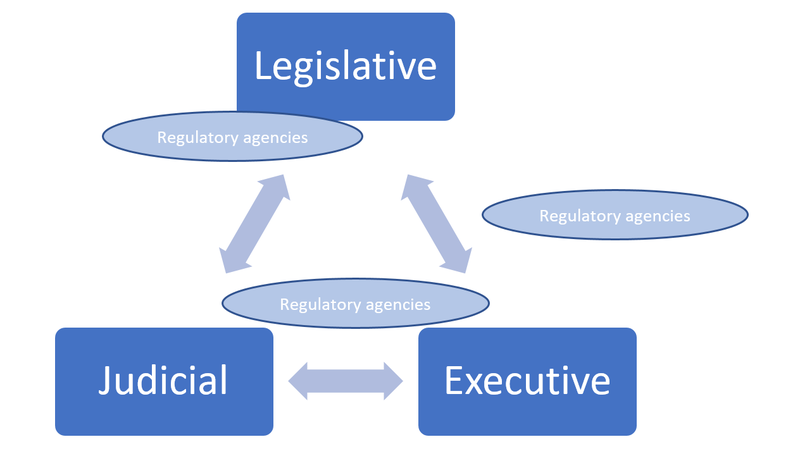 Even in streamlined three-branch systems of government, there are often many legal actors that occupy unique gray areas between, say, purely legislative and purely executive organs. For example, in the U.S., regulatory agencies like the U.S. Securities & Exchange Commission (SEC) are nominally under the control of the executive branch of government. However, while they are typically considered executive agencies, many regulatory bodies often function more like legislative committees than purely executive departments. One simple reason for this is the fact that regulatory agencies are typically authorized and funded by the legislature, not by the executive branch. This often influences how regulators actually view their roles in increasingly complex regulatory environments. Generally speaking, the term legislation refers to law enacted by a legislative body. Legislation = statutes = enacted law = so on. By contrast, the term regulation refers to “rules” that are promulgated by a regulatory agency. Regulation = rules. In effect, both legislation and regulation are “law” and “legally binding” — when they are passed/promulgated. But both statutes and regulatory rules can be curtailed or struck down by courts as, say, unconstitutional. This is the famed idea of checks and balances. A statute can be said to be more binding than a “mere” regulatory rule, but functionally, they are often viewed as two sides of the same coin. Many regulatory bodies are established following the enactment of so-called “authorizing,” “enabling,” or “constitutive” statutes. Thus, the SEC was created by the Securities Exchange Act of 1934; the German Bundesanstalt für Finanzdienstleistungsaufsicht (Federal Financial Supervisory Authority -aka- BaFin) was created by a 2002 statute, and so on. So in order to understand the SEC’s or BaFin’s jurisdictional reach over crypto, it’s not enough to study agency enforcement decisions, settlement press releases, and case law. It’s not enough to study the text of statutes that enable and fund these agencies. The only way to get a good operational grasp of crypto jurisdiction is to understand the body of law that brackets and constrains legislative jurisdiction itself. In other words, we all know that legislative bodies claim to have the power to prohibit a wide range of conduct and a broad range of actors. But we also know this power has limits. The rise of crypto gives us an opportunity to revisit those limits. There are many bodies of law that limit prescriptive jurisdiction. These can include constitutions, other statutes, case law, etc. In addition, a state’s right to apply its laws is limited by customary international law rules on prescriptive jurisdiction. Customary international law is a tricky doctrine. Without getting too deep under the hood, we can look to section 402 of the Restatement (Third) of Foreign Relations Law of the United States as a proxy for customary international law rules on jurisdiction. French doctrine on customary international law on jurisdiction might be stated differently, in French; Russian doctrine on customary international law on jurisdiction might be stated differently, in Russian — but the basic jurisdiction rules are not controversial. certain other conduct directed against state interests, like espionage and counterfeiting. All four bases of jurisdiction are arguably triggered by crypto. A state may prescribe conduct within its own territory. Under the so-called Act of State doctrine, U.S. courts have held that they will not sit in judgment of a foreign state exercising legal authority within its own territory — even if that exercise of foreign authority equals expropriation of Americans’ assets. While the Act of State doctrine is not a rule of international law, it reflects a basic jurisdictional principle that states have broad authority to regulate and police their internal affairs. Effects-based jurisdiction is another basis of jurisdiction recognized (and limited) by customary international law. Generally, states may prescribe conduct outside their territory that has effects within their territory. Because globalization has made it so easy to show that foreign conduct produces effects in another state, the effects-based jurisdiction rule is typically limited further. In the U.S., for instance, it’s not just effects that matter. In order for U.S. law to apply extraterritorially based on effects, the effects must be (1) substantial and (2) intended. For example, when a group of London-based reinsurers led by Lloyd’s of London conspired to coerce U.S. insurance companies to drop certain classes of insurance policies that were proving costly to Lloyd’s, the U.S. Supreme Court held that U.S. antitrust could apply to foreign companies for conduct that occurred on foreign soil. The fact that conduct is lawful in the state in which it took place will not, of itself, bar application of the United States antitrust laws, even where the foreign state has a strong policy to permit or encourage such conduct. How do crypto transactions, crypto ICOs, crypto decentralized exchanges and crypto marketplaces have substantial intended effects in the U.S.? If they cajole unsuspecting individual or institutional Americans to invest in a given ICO or enter into particular market relations through, say, deceptive trade practices, then effects-based jdxn might be proper. The same is true with broader arguments regarding the effect of crypto on monetary sovereignty, the integrity of particular monetary or financial institutions, the “health” and “integrity” of different global financial and/or securities markets, and so on. Because of the explicit anti-Establishment ethos coursing through broad swaths of crypto discourse, it is very easy to project a long list of supposed threats posed by crypto to the foundations of domestic economic and political life. It is extremely easy to repackage crypto’s largely exaggerated threats into intended substantial deleterious effects on a given state’s economy. Along with territoriality, nationality-based jurisdiction is also very intuitive. For crypto, the most obvious application of this jurisdictional principle is in the realm of taxation. The U.S. Internal Revenue Service, for instance, will prosecute U.S. tax evaders wherever they may reside globally. Under American law, U.S. citizens have to pay taxes on income, even if the income was earned abroad. If the IRS suspects that Americans are hiding financial assets abroad without paying taxes, the IRS can and will go after those individuals or firms. Successful IRS investigations of Swiss banking giants like UBS have shown that even centuries’-long bank privacy norms cannot withstand the brute force of nationality-based jurisdiction. The lesson for crypto is crystal clear: if you are an American individual or a U.S.-based firm, you may be able to shift crypto assets between different balance sheets. But when push comes to shove, Americans must pay their dues to Uncle Sam. Beyond tax law, and beyond American law as a case study, the same jurisdictional principle applies more broadly on a global basis. Next, a state may prescribe certain other conduct directed against state interests, like espionage and counterfeiting, even if those activities occur extraterritorially (outside of the territory of the state that is trying to prescribe these activities). Of the four bases of customary international law jurisdiction flagged above, the fourth is rarely invoked in international commercial contexts. Crypto will likely expand this traditionally narrow basis of jurisdiction. Crypto instruments, networks, marketplaces, and institutions can be easily classified as suspect. As a term, crypto expressly invokes hidden networks and clandestine actors. The same features that make crypto so attractive for particular novel use cases — like insistence on full anonymity or pseudonymity, non-attribution, and resistance to third-party censorship — have also made crypto instruments the preferred medium of exchange in much of the global criminal underworld. Today, the security risk from particular crypto exchanges or blockchain “smart contracts” may seem dispersed and inchoate. But it is not difficult to imagine sociopathic blockchains running self-enforcing code that morphs beyond anyone’s grasp. This can have extremely negative outcomes for innocent bystanders. In that instance, the threat to vital state interests becomes easy to articulate. The fact that crypto’s popularization came on the heels of a successful dark web marketplace makes it easy for regulators to over-regulate. If the goal of regulation is efficient systemic risk hedging and risk mitigation, then that level of regulatory oversight and incursion should be welcome. If, on the other hand, regulators offer too many pretextual reasons for regulating crypto, the result could be a decades-long legal battle between proponents of a new world order and the Establishment. Our advice to crypto actors and regulators is to tread very carefully here. In the coming months and years, we’ll continue to offer our views on the evolution of mainstream jurisdictional doctrine. One of the most fascinating jurisdictional developments to watch will be the development of novel legal forms of anti-counterfeiting, anti-money laundering, and counter-terrorism, and so on — as applied to crypto. Prescriptive jurisdiction means little without enforcement jurisdiction and robust enforcement. Procedurally, and in terms of remedies, this means likely expansion of quasi-criminal enforcement sanctions — like civil asset forfeiture and administrative settlements, of the sort observed in SEC v. EtherDelta. In the wake of SEC v. EtherDelta, many crypto analysts predict that developers will return to dark web postures, turning towards greater anonymity. At CleanApp, we see a growing trend away from the binary oppositional politics of yesterday. The observed countervailing trend seems to be towards greater engagement with regulators, instead of a return to questionable adversarial tactics. We hope our Crypto for Regulators series can serve as a bridge between disparate groups of actors who are starting to see the mutual benefit from greater interoperability, cooperation, and collaboration. We look forward to your feedback, suggestions, and critiques.